ABB Consulting has been awarded a contract to support the dismantling of the former Milford Haven refinery in south Wales. At its close the refinery produced 108k barrels per day. ABB Consulting has been appointed as the project Construction Design and Management (CDM) principal designers. The team will work closely with Waste Recycling & Decommissioning Ltd (WRD), the dismantling contractor, to identify and manage the hazards during the execution of the project. Started in July 2016, the project is planned to be completed in the next two years. ABB Consulting has a worldwide reputation as a leader in supporting process industry assets throughout their full lifecycle and was appointed following a competitive tender process. 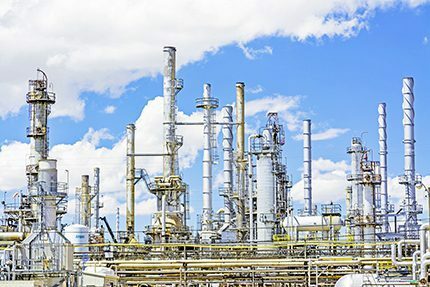 “The refinery has been shut down for some time now, and although it has been decommissioned, there always remains a risk of a residual level of contamination,” explained Steve Andrew, demolition and remediation manager at ABB Consulting. “With the challenges surrounding the project, thorough checks will need to be carried out to ensure the works can be completed safely.